If you like walking suits and wearing them when you go out, you will love what Inserch is all about. Inserch knows what kind of style menswear grown men like to wear who have style. Inserch knows how to mix up the texture fabrics with both soft poly/rayon and suede fabric for a look you want to be seen wearing. 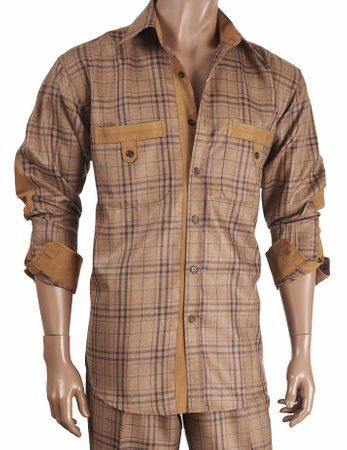 Made of caramel plaid fabric with suede trim. Pleated Pants.